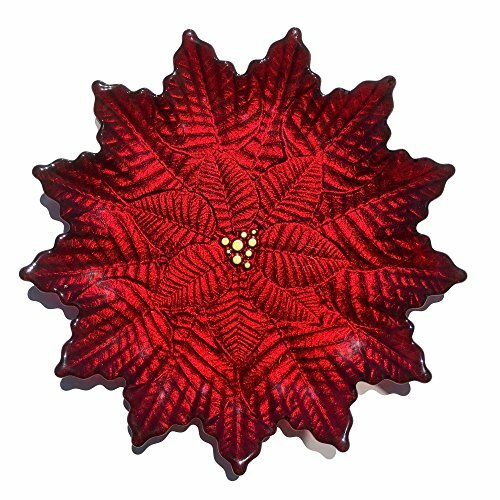 Decorate your table with these beautiful poinsettia plates in holiday season. Detailed engraving of this Christmas flower plate is expressed by 3 layers of hand painting using gold Leaves in the heart of the plate over handmade virgin glass. If you have any questions about this product by Red Pomegranate, contact us by completing and submitting the form below. If you are looking for a specif part number, please include it with your message.